Color is one of the important characteristics of teeth. Absolutely white teeth do not exist in nature. Tooth color depends on the transparency and color of the tooth enamel. It also depends on the color of the layer under the enamel. If the teeth have turned yellow over time, this indicates the influence of internal or external factors. Your teeth can become discolored by spots on the surface or by changes in the tooth material. If you have any of those signs, Dr. Sahakyan, the best dentist in Burbank, can help you. Call 1-818-578-2332 or contact us to schedule an appointment today. Discoloration of teeth can be of two main types: external and internal. Internal discoloration occurs, respectively, in the internal tissue of the tooth, called dentin. It darkens or becomes covered with yellow or gray spots. Consumption of coffee, tea, red wine, beets, carrots and many other drinks and food with the content of the dye leads to its deposition on the teeth. Usually, these types of dental contamination can be removed during regular deep cleaning and home care procedures. The latter consist of brushing teeth, processing them with a dental floss and rinsing after each meal. Of course, the use of food and beverages that cause such color anomalies should be stopped or significantly limited. With these types of contaminants, whitening technologies (such as toothpaste, rinses) also work well. Nicotine contains dyes of brown color. It is gradually absorbed into the structure of the tooth, resulting in discoloration of a tooth into yellow and eventually into the brownish color. Smokers have a big chance of having discolored teeth after years of smoking. Smokers need to consider stopping smoking, to eliminate the tooth discoloration and other diseases that smoking causes. Over time, teeth acquire a yellow or brown color. Improper cleaning of the teeth and flossing does not remove the tartar on your teeth. You need to take care of your teeth at home properly. Home whitening of teeth can also provide a significant effect. For best long-term results, periodic repetition of the cleaning procedures is recommended. Fluorosis is a dental disorder which is caused by the excessive use of fluoride during the formation of teeth. It often leads to the formation of chalk-white or brown patches, spots or bands on the tooth surface. Although brown spots are well polished, white spots do not change. But you can whiten your teeth as a whole, and these painful white spots will not be so noticeable. In some cases, in order to cope with the problem of white spots, whitening can be carried out in combination with using fixing materials or abrasive technologies. Diseases affecting the enamel and dentin can lead to the loss of the natural tooth color. Certain infections in pregnant women can cause a discoloration of the teeth in newborns, affecting the development of their tooth enamel. The most common cause of erasing enamel is bruxism (grinding of teeth) and stress. This can lead to microcracks, as well as to discoloration of the edges of your teeth. 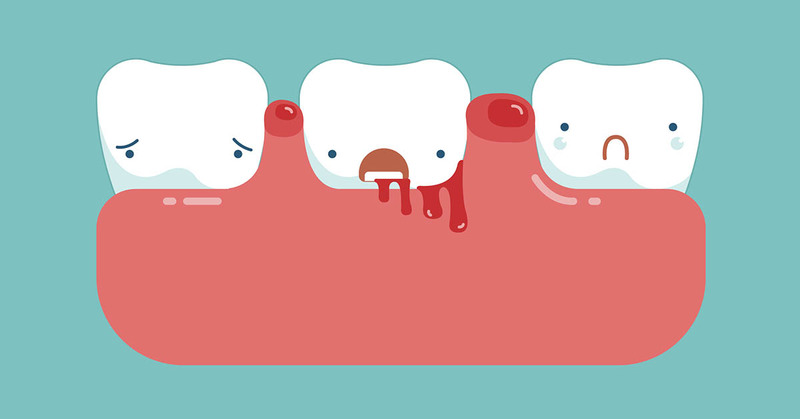 Antihistamines, antidepressants, drugs from high blood pressure can spoil your teeth. The use of tetracycline and other antibiotics are usually expressed in the acquisition of teeth with a bluish-gray or yellowish-brown color, often in the form of horizontal bands. Procedures that require the use of certain artificial materials, such as silver amalgam, can give the teeth a greyish-black shade. Defective or collapsing dentures can also cause gray, brown, black, yellow or green spots on the teeth. In addition, over time, white fillings darken. Metal fillings, even if they are not directly visible, can be seen through the translucent tooth tissue. Blue, gray and black spots are often caused by materials including amalgam, glass ion-containing polymers, acrylic and porcelain coated with metal crowns. Whitening does not lead to a discoloration of artificial materials. In these cases, the Burbank dentist can recommend the replacement of these materials after whitening. 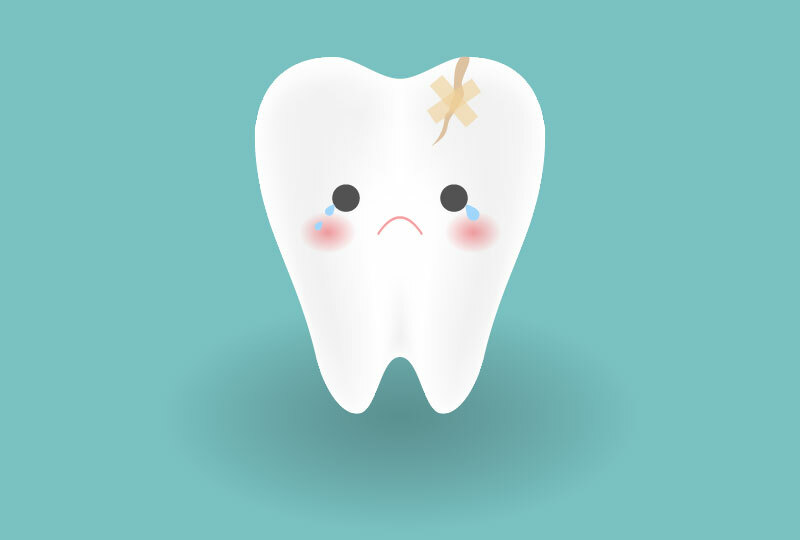 Trauma caused by falls and other accidents can lead to damage to the tooth tissue. As a result, the damaged tooth will change its color to gray or black. Spots appear only on those teeth that are directly affected. In some cases, this discoloration can mean the death of a nerve located inside the tooth. If your tooth is dark due to the canal, whitening the enamel again will not help. Burbank dentist can apply whitening material to the inner surface of the tooth, offer a crown or a veneer to solve the discoloration problem. In cases where a tooth is chipped or severely damaged, the dentist may also advise the crown or veneer. As your physique and eye color, teeth also depend on your inherited genes. Therefore, teeth that have color anomalies of a natural nature can almost or completely not be treated with whitening technologies. In these cases, the Burbank dentist can advise the veneers or composites. Over time, teeth become darker. It is caused by the erasure of enamel and the removal of dyes inside the dentin. Teeth become more resistant to the effects of whitening after years. If you regularly apply for professional dental cleaning, then you will not have problems with unattractive color changes. You also have to adhere to personal dental care standards. Regular brushing of teeth, the use of high-quality toothpaste and high-quality dental floss are important parts of having natural colored teeth. This is the safest method for effectively preventing the tooth discoloration and for keeping your own teeth to a very old age. The dentist can diagnose tooth discoloration by looking at the teeth when you visit My Dentist Burbank. With the help of professional teeth cleaning you maintain the health of your teeth and get a beautiful smile. After all, by professional teeth cleaning you can remove a large external part of the changed color of the teeth. As a result, you will get much lighter teeth. 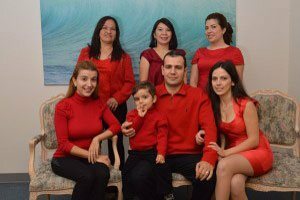 If you want to achieve a more luminous result then our experienced dentist, Dr. Sahakyan at My Dentist Burbank, can offer you a whitening procedure. In our dental office, we purposefully use a particularly gentle whitening procedure. Discoloration of the teeth is stored in the deep layer of the enamel and can be resolved only by teeth whitening. Burbank dentist, Dr. Sahakyan may also recommend the aesthetic correction of teeth (fillings, veneers, crowns). If you want to have a snow white smile, our dentists at My Dentist Burbank can help you. They will assess the condition of your teeth and develop a treatment plan that’s right for you. Call 1-818-578-2332 for an appointment today.